Mozilla is planning to suspend Thunderbird development, cutting down on resources invested in this popular open source email client. However, Thunderbird is one of the very few truly free and open source multi-platform email applications available today and we want to defend these values. We’re not “stopping” Thunderbird, but proposing we adapt the Thunderbird release and governance model in a way that allows both ongoing security and stability maintenance, as well as community-driven innovation and development for the product. This will mean an eventual shift in how we staff Thunderbird at Mozilla Corporation – we are still working out details, but some people will likely end up on other Mozilla projects. Thunderbird provides an open-source, cross-platform email alternative for those of us who still use stand-alone email clients (and I am one). It’s trust-worthy, it’s under your control, and it’s built to reflect the Mozilla mission. Once again we’ve been asking the question: is Thunderbird a likely source of innovation and of leadership in today’s Internet life? 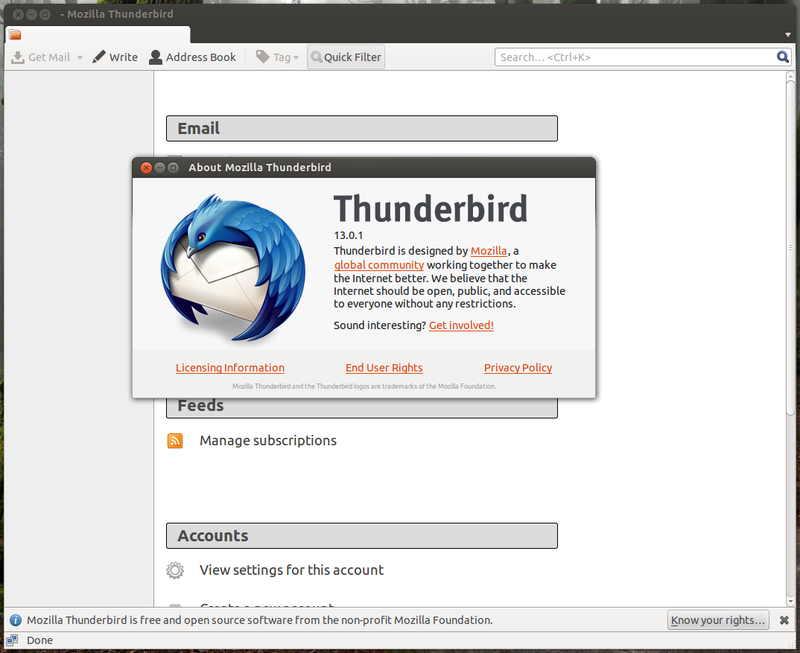 Or is Thunderbird already pretty much what its users want and mostly needs some on-going maintenance? Much of Mozilla’s leadership — including that of the Thunderbird team — has come to the conclusion that on-going stability is the most important thing, and that continued innovation in Thunderbird is not a priority for Mozilla’s product efforts. As a result, the Thunderbird team has developed a plan that provides both stability for Thunderbird’s current state and allows the Thunderbird community to innovate if it chooses. Now Thunderbird's advancement mostly depends on community participation. What do you think, will there be a thriving community that will innovate and add new features to Thunderbird or should it be forked? 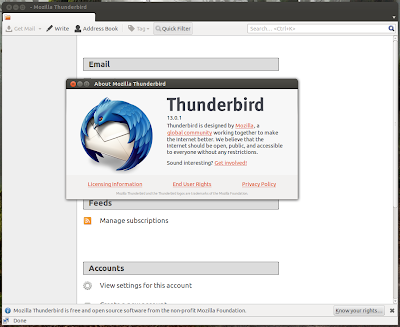 Ubuntu has switched to Thunderbird as the default e-mail client and it will be interesting to see if there is a change in this decision in future release cycles.